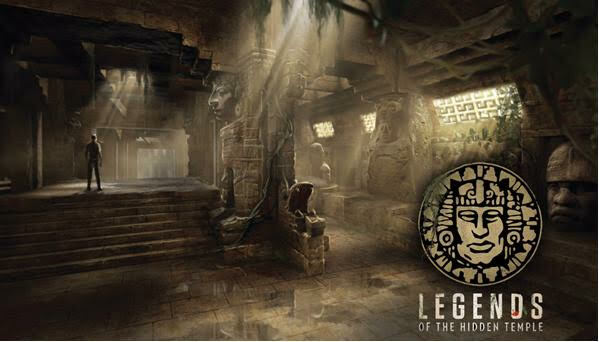 The TV movie Legends of the Hidden Temple will follow three siblings who break away from a lackluster temple tour in a jungle, finding themselves immersed in a real-life mission comprised of obstacles that they must complete in order to escape alive. The TV movie will feature elements from the original game show including: Olmec, a talking head whoknows the secrets behind the temple; The Steps of Knowledge, the entrance to the temple and launching pad for the mission; and cameos from a green monkey, red jaguar, and silver snakes, among others. Legends of the Hidden Templeis executive produced by Scott McAboy and Jessica Rhoades, and produced by Amy Sydorick. The TV movie is directed by Joe Menendez (From Dusk Till Dawn: The Series) and written by Jonny Umansky & Zach Hyatt, and Alex Reid.